This ANZAC Day concert date has been chosen as it coincides with the 100th anniversary of the birth of Maxwell Fernie, a hugely influential organist and musician who from 1958-1999 was director of music at St Mary of the Angels in Wellington. The concert will also feature the premiere of The Non-Singing Seats by Helen Bowater, a setting of a poem by Wellington poet Greg O'Brien which, with imagination and humour, gives an impression of the impact Maxwell Fernie has on worshippers at St Mary's. This will feature narration by the poet and soloists Yury Gezentsvey (violin) and Peter Barber (viola). Other performers in the concert celebration include James Young, Donald Nicholson, Greg O'Brien, Rowena Simpson, Douglas Mews, Robert Oliver and the St Mary of the Angels choir. 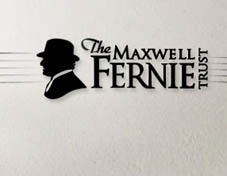 The occasion will have as its centrepiece the presentation of the first Maxwell Fernie Organ Scholarship by the Hon Chris Finlayson, Minister for Arts, Culture and Heritage. This scholarship, with a total value of $10,000, will greatly assist promising young musicians to further their studies in New Zealand and overseas. The recipient will perform on the Maxwell Fernie organ.